The FBI is warning the public to be aware of a scam that uses a text message with a photograph of purported FBI credentials and threatens to arrest the person if money isn’t sent. Thinkstock The FBI is warning of a scam. This scam uses a text message with a photograph of purported FBI credentials and threatens to arrest the person if money isn’t sent. “These text messages are false and the photograph of the credentials is not real,” the FBI said in a statement this week. In one instance reported in New Mexico this month, a victim said she received a Facebook message that claimed to come from the company’s CEO. It informed her she had won an $800,000 prize. Subsequent cell phone text messages from different area codes told the victim to send money to cover taxes associated with her apparent winnings. Other texts followed that claimed to be from the Internal Revenue Service and FBI. The phony FBI text included a photograph that purported to be FBI credentials, which were fake. The message warned the victim she would be arrested if she didn’t send money. The FBI defines this type of scam as government impersonation fraud in which cybercriminals threaten to extort victims with physical or financial harm or the release of sensitive data. 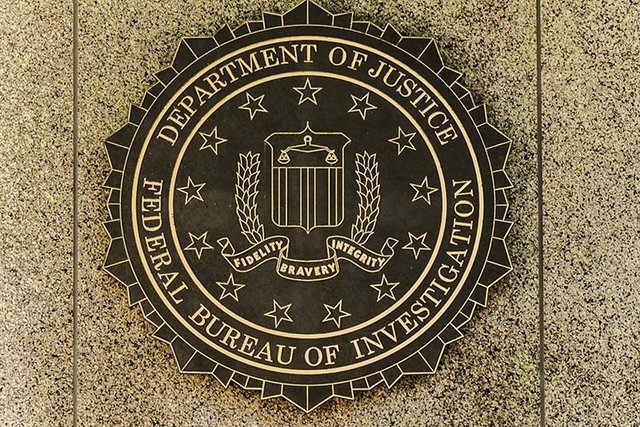 “The FBI wants to remind the public that federal law enforcement will not send photographs of credentials or badges to demand any kind of payment and that victims should not send any money to these cybercriminals,” it said.